While we gave a sneak peak to the Minkettes on the forum already, it is time we formally introduce the Rebecca Minkoff Spring 2009 line. We had the pleasure to sit down with Rebecca two weeks ago to ask her your questions, find out more about what is to come, and see her hot new bags. 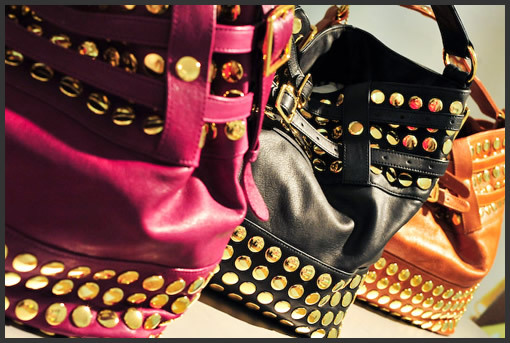 Studs are seen on many of the bags, offering a rocker edge, which is the perfect touch for the gal with a little kick in her step. The colors are popping, the hardware is a mixture of old and new, and the wish lists for these bags are growing. Read our Rebecca Minkoff Spring 2009 interview here!